A man who allegedly inflicted chop wounds to two other men in Silk Grass Village is dead tonight after he sustained a number of injuries while being subdued. So far, indications are that villagers who gathered to subdue the man identified as 23-year-old Rene Godoy may have inflicted the injuries. 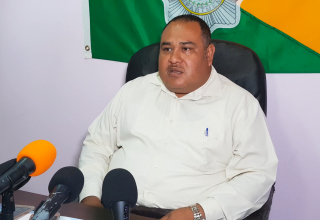 According to police, shortlyafter one o’clock this morning, officers were called to Silk Grass Village where they were informed that Godoy, a resident of the Village, had chopped several persons and was till roaming the village. The suspect was soon found on the second floor of a building and before he was brought down, he allegedly threw rocks and bottles at police and villagers. He was eventually subdued and it is believed that in that process he sustained facial injuries. Police say that villagers gathered to pursue him after he had inflicted serious chop wounds to two others in the village and had attempted to sexually assault a woman. 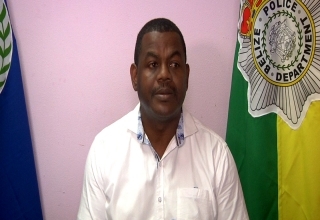 ACP Joseph Myvett: The report the Police received is that he had entered a home shortly around 1 am and he appeared to have been under the influence of alcohol where one person was assaulted with a machete and he attempted to sexually assault a female. In the process of her calling for assistance a male person who is her step father responded and he received chop wounds and one of his fingers was severed from his right hand in the process, the other person who was chop received chop to the head, his neck and his back, he too was transported to the Southern regional Hospital. Godoy was taken to the Southern Regional Hospital, where two of his alleged victims were also being treated. According to police he died soon after. Today, his family members spoke out. 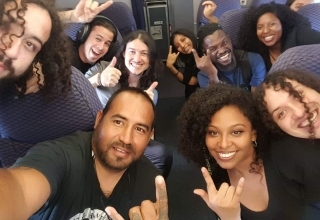 His sister-in-law told Love News that she believed the situation could have been handled differently and Godoy’s life could have been spared. Sister in law: Information we get that he went to some Sonya house and Sonya halla and so her step father Miguel went there and I don’t know what happened between Miguel and Sonya and my Braylee. Yes I know that every time my bra lee drink he always get out his head and want to run bout and haul bat and stick and thing yes but I think think the Police had no right to give permission to the four villagers to beat up my bra lee. When I went to the station I told the Police officer; they willingly agree to come with me to identify the body so I went me and my sister in law so when I get there so three of us an two police officers; we went and the attendance haul out the body and I identify it, it was my bra lee but he has stitch on his lip and then when I check him on the other side, it is all buss up, all his eye black and blue, all his eye buss up so it really have us thinking why did they have to hurt someone like that and take their life, he is not a dog he is a human being, he has his family members and they shouldn’t have hurt him like that, I could understand if they just they just bring him and lock him up. But there are conflicting reports surrounding the circumstances surrounding Godoy’s death. 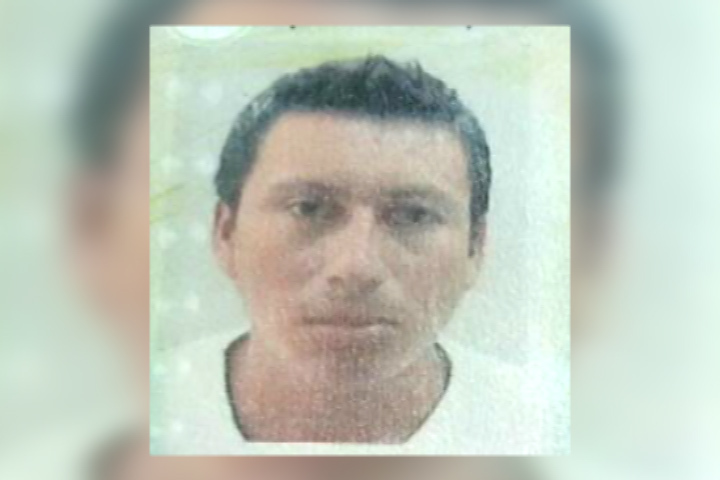 His family members say that while they were at the hospital compound, someone informed them that when police arrived with Godoy, they took out his body and headed straight to the morgue. His sister, Betty Garcia says she confirmed this with a nurse at the hospital, meanwhile, the police’s version is different. Betty Garcia Sister of the decease: I asked the nurse if my brother dead in the hospital or if he dead in the Police vehicle and then the nurse said yes he died in the vehicle, they say the police carried him when he was already dead, that’s what she told me. ACP Joseph Myvett: One hour and a half later he succumbed to his injuries whilst inside the compound of the Southern Regional Hospital. Reporter: Now these facial injuries that you spoke about that were the clenching injuries or they were they were significant injuries, these were inflicted after he came down from the second floor. 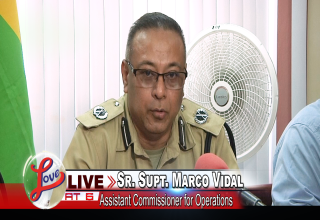 ACP Joseph Myvett: I cannot be able to say at this point in time but I know that when he was subdued and the Police vehicle arrived to take him to the hospital that was when the injuries was observed. Reporter: Were the injuries the result of a beating by hand or was he stoned with objects? ACP Joseph Myvett: No I am not able to say that, what I can say though he was in conversation with police until the time he reached hospital and sometime later was found motionless. 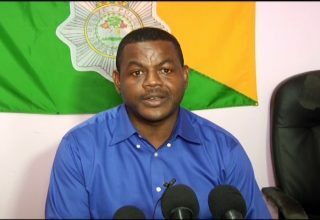 Reporter: Mr. Myvett you talk about this perpetrator being subdued, can you say if he was subdued by the villagers that were chasing after him with the Police officers or by the Police Officers themselves. 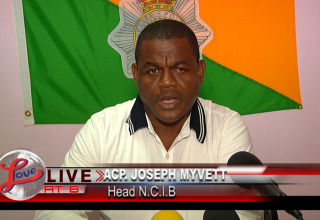 ACP Joseph Myvett: I believe he was subdued by both the Police officers and the villager. Police have launched an intensive criminal and internal investigation into the matter. Pyromaniac on the loose in PG?